Google’s Dynamic Search Ads are best for advertising a select range of products. With Dynamic search ads brands are not required to further zero in on Keywords, rather the search ads are automatically generated based on the product pages, that are updated. Remarketing with Dynamic Search Ads can help you target the best-selling products to your key target audience who may have already visited your site. Google AdWords recommends maintaining a high quality feed for your best sellers. 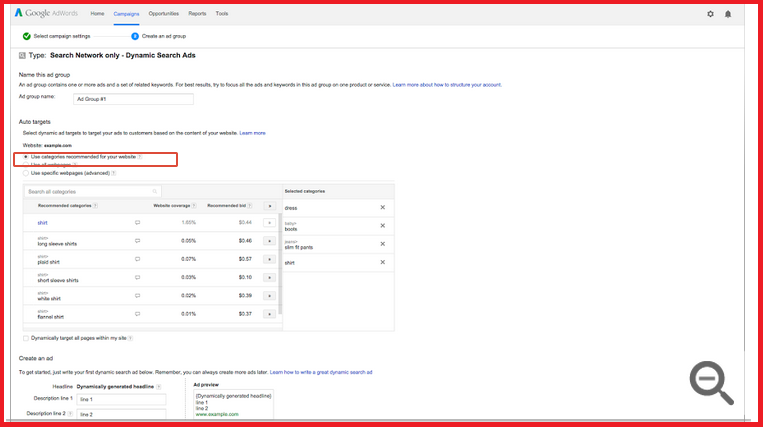 Google Auto Optimized Layout Feature: Merchants can choose from a pre-made list of ad templates and A/B test based on ad performance. Google Product Recommendation Engine: Chooses ads for product ads based on what shoppers have viewed. Google Real Time Bidding Algorithm: Determines bids for each impression. 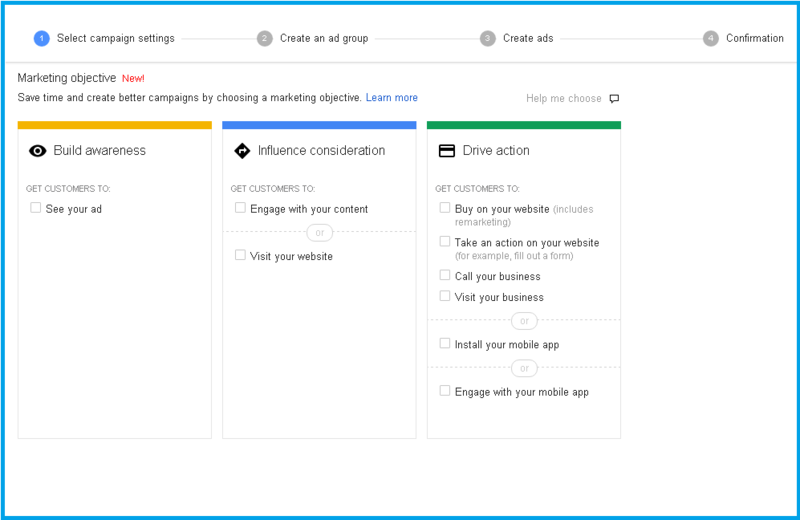 With Dynamic Search Ads you can choose to go with Marketing objectives, that can be combined with remarketing campaigns. You can choose the Marketing objective from sub-campaign types. 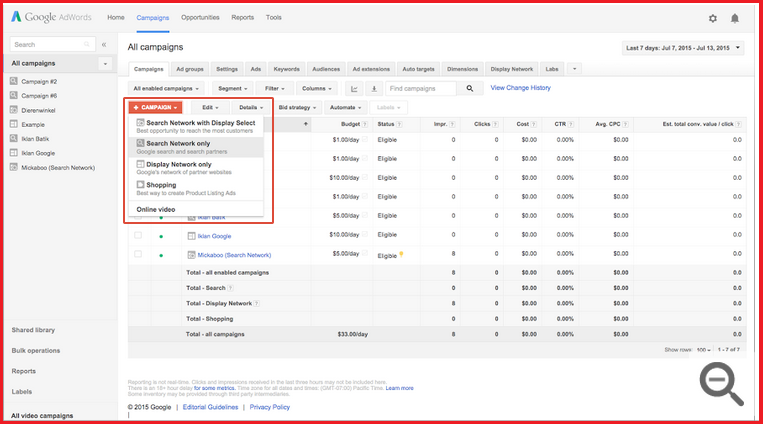 Choose campaigns for Search Network only under the Campaigns tab. 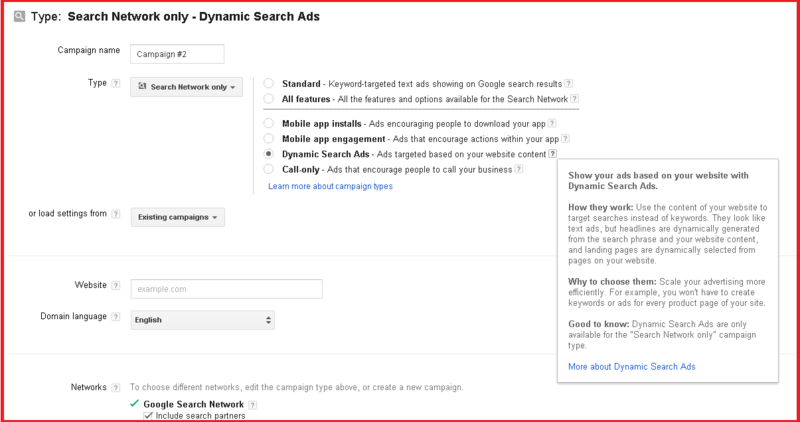 Within Search Network Tab Choose Dynamic Search Ads and enter Campaign Name. In the Dynamic Search Ads section, enter your domain and the language corresponding to the pages you want your ads to target. You can add an Ad group that allows you to spell out the lines you would like to use in the Search Ads, thereafter DSA’s automatically regenerates the Ad copy. You will be required to populate the URL where the product feed is hosted and the URL that you are going to use to track the campaign. You can also choose to add different variations of ads to decide on the most effective creative. 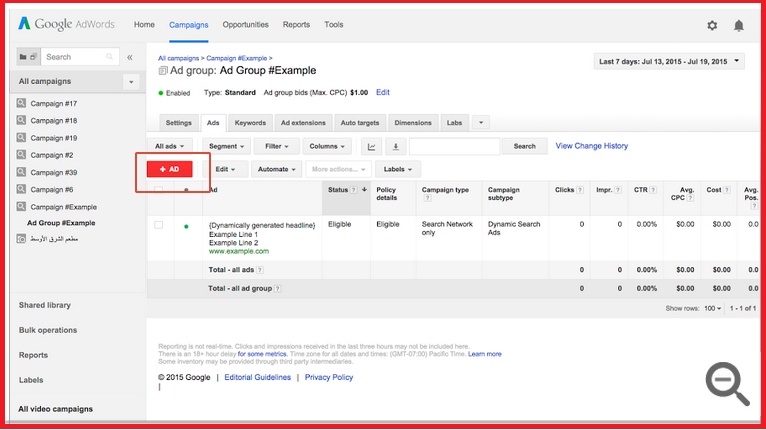 Click the Ads tab from the ad group you created for your Dynamic Search Ads campaign. There are recommended categories that you may wish to opt for. To add more categories, select the categories that you wish to add. By hovering over the dialog icon to the right of category name, You can see sample pages and ads for each category. To target only certain webpages, select Use specific webpages (advanced). You can target the webpage URL that contains the page content for the products by including the page URL in the rules. Dynamic search Ads allow you to choose Marketing objectives, that can be combined with remarketing campaigns. 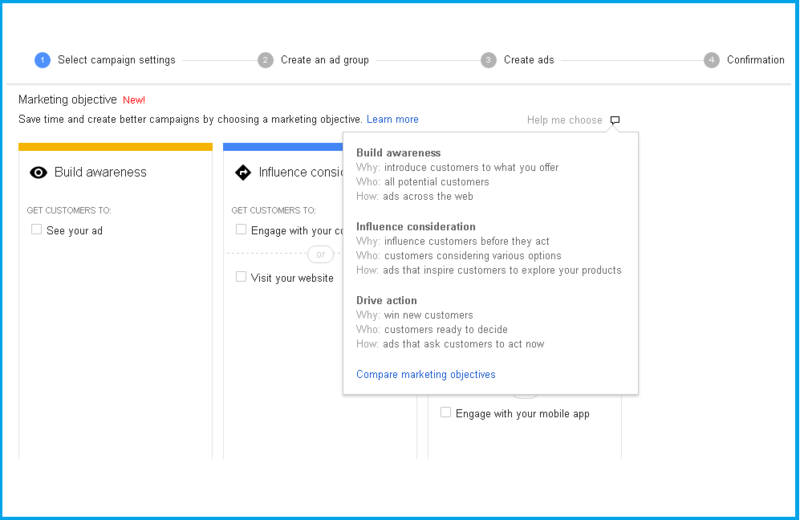 You can choose the Marketing objective from sub-campaign types. Posted in Advertising, Digital. Tagged advertising, AdWords, Campaign, Digital.